SacredMagician - Powerful balance.bin editor under Kotlin JVM! A powerful balance.bin editor for Sacred and Sacred Underworld, on Kotlin JVM. * JRE minimum version for .jar variant (1.8.0), for .exe (1.8.0_121). * Administrator rules if application pasted in UAC secure folders. * Writed on simple, beautiful and cool language "Kotlin" under JVM. * Constant support and updates, bug fixes, help with editing balance files. 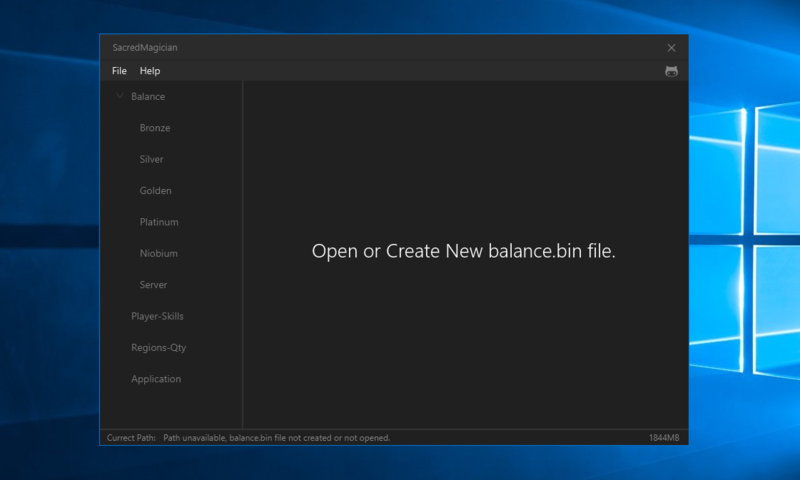 * Ability to creating \ generating balance files, without problems! * Ability to change entry bronze \ silver \ gold and etc levels! * Ability to change experience modifier to bronze \ silver and etc levels! * Ability to change open new skills level (3, 6 and etc)! * Restricted not-needed keys, allowed only numbers and "."! * Data length control, and safe saving data pasted in textfields! * International English we all love! Say "Hello" to all people! * Compatible from Sacred 1.0 to Sacred 2.29.14 (Modifications not supported). * Download the source and run the SacredMagician (compiling source requires IntelliJ IDEA 2018.2+ and Java8+ and Kotlin 1.3). * Download a pre-compiled SacredMagician from the releases page. * Download latest version from google drive Release type or Alpha type. * See SacredMagician change log here (latest version above change log page). * Hit the star button or say thanks message to MairwunNx@gmail.com . * Special thanks to Sha**no*us for testing for errors and bugs and design work test! * Special thanks to andrew.azimov for testing and finding some bugs! * Special thanks to JetBrains for the free student license! Use this wonderful product! * Special thanks to the already existing SacredBinEditor utility, with the help of it, I quickly found those byte offsets in the binary! * All tasks for the future are made! If you have idea, open Issue or send it on email me. Thanks for using SacredMagician! Maded with ❤, please click on ★!